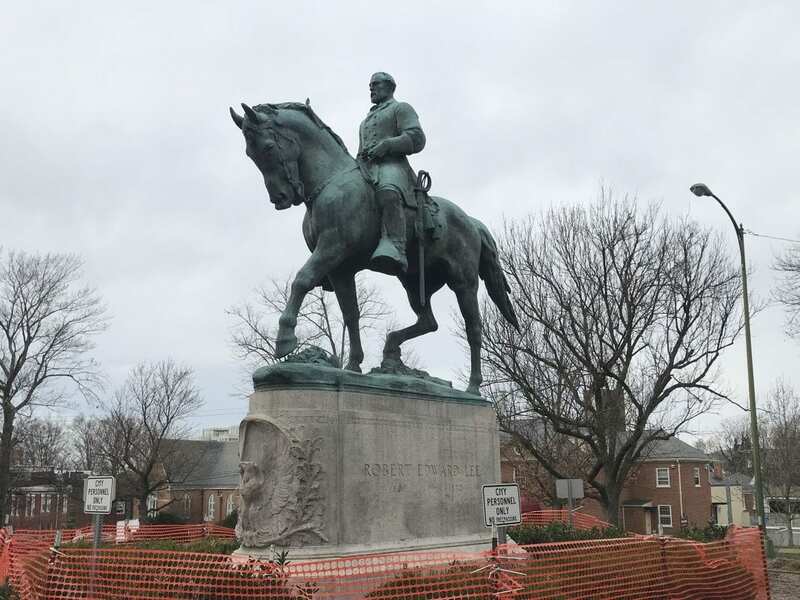 One day after a circuit court judge ruled that the tarps draped over controversial Confederate statues in Charlottesville, Va., be removed, the city says it complied, lifting the coverings early Wednesday morning. The statues of Robert E. Lee and Thomas “Stonewall” Jackson — both military heroes of the Confederacy — had been hidden under the cloths following a white supremacist march and rally in August erupted in violence and the death of a counterprotester. Counterprotesters were there too, among them 32-year-old Heather Heyer, who police say was killed after a suspected white supremacist deliberately drove his car into her and others in the crowd. On Aug. 21 the city council, as a symbol of mourning, voted to obscure both statues from public view, and workers followed through a couple of days later. “I can only surmise that they have not set an end time because they never meant for the coverings to be temporary,” he wrote. Moore’s ruling is a temporary injunction; a final ruling, which could order the statues be removed entirely, is not expected until later this year, reports The New York Times. In recent months, dozens of cities have removed their Confederate monuments — an issue President Trump has weighed in on — as the country grapples with how to memorialize its past. In Virginia, a state law protects public war memorial from being removed or altered. The city argues the law does not apply to the statues, but the plaintiffs, a group of Confederate heritage advocates, say it does, according to The Post. In his ruling, Moore noted that shielding the statues interfered with the public’s ability to view them. “I find that the irreparable harm here is based not on physical damage to the statues but, given the significant period of time that has gone by, on the obstructed rights of the public, under the statute, to be able to view the statues,” he wrote. WCVE’s Hawes Spencer reports that the debate about what to do with the statues has divided the city. He spoke to Danielle Jones at Emancipation Park after the tarp came down Wednesday, and she told him she wants the statues gone too. The Times reports the city is considering adding historical signage to the parks to provide more context about the war.